ISS benefits to humanity book now available. Credit: NASA. The 236 page book called International Space Station Benefits for Humanity is in its 3rd edition. It includes contributions from all the ISS partners including Canada. The book is the product of the International Space Station Program Science Forum and Canadian Space Agency representatives include Luchino Cohen, Isabelle Marcil, Sara Millington-Veloza, David Haight, and Louise Beauchamp. 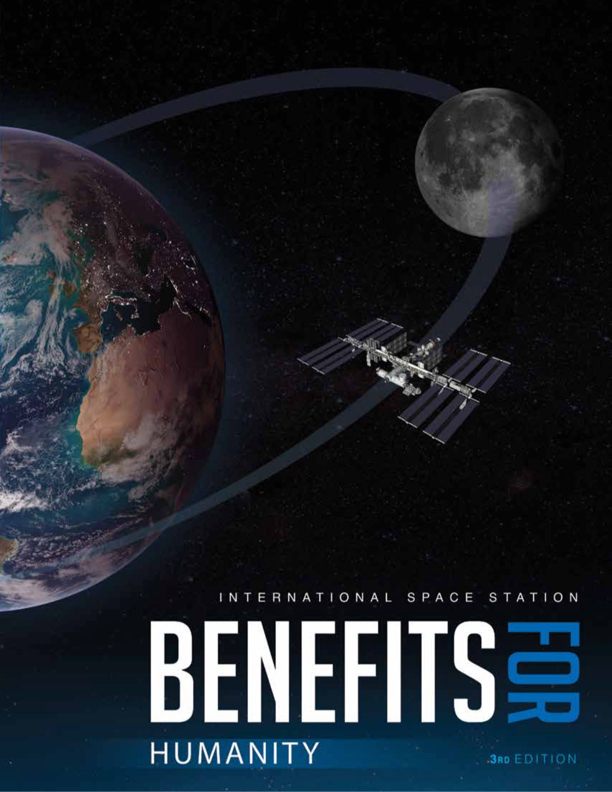 International Space Station Benefits for Humanity book cover. Credit: NASA. The book is available to download at no cost as a PDF file.